Well, even when said in jest, that attitude is poppycock! Association members are the association’s customers. It is time associations treat members as customers. A couple of recent stories shows want not to do! Last week, a lady pulled up while I had my golf cart at a free inspection here in our community. The distraught lady said she had just returned from up north and the batteries on both of their golf carts were dead. She said she called the store where they purchased the carts (a competitor of the folks providing the free inspection) and was told they would not come to her house to pick up and fix her batteries. As the technician servicing my cart said, “Why would you sell golf carts but not provide the service to fix them?” The folks looking at my cart said they would get her carts and fix the batteries. So, the original store lost a customer for not just one but two golf carts! Really smart, right? How often do association members hit this wall when they contact your association office? Is your association prepared to help ... even if key staff are out for the day? Or, do you leave members hanging? Do not say this at work: “That is not my responsibility.” Huh? Utter the phrase-that-must-not-be-said and you could have one less happy member on your roster, writes Inc.com‘s Geoffrey James in his article, “5 Words That Customers Absolutely Hate.” Staffers understand how your organization functions and who relays problems to whom. Members, however, see you as a representative for your association as a whole. Failing to follow through only shows the customer that “your company’s internal structure and organizational politics are more important than the customer,” writes James. The minute a member lays an issue on you, it’s up to you to ensure a happy customer leaves problem-free. As James says, that’s the rule, not the exception. 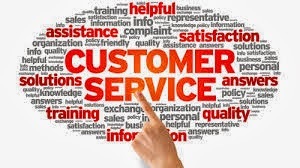 The moment you're personally involved with a customer problem, it's your responsibility, not somebody else's, to ensure that the customer is satisfied. There are no exceptions to this rule. “Creating a culture of engaged employees who consistently deliver superior customer service can drive as much as an 85 to 104 percent increase in profitability. In other words, delivering great customer service can literally double your profit. Where does your association stand on customer service? Have you called your office lately to see? Have you asked members for feedback?